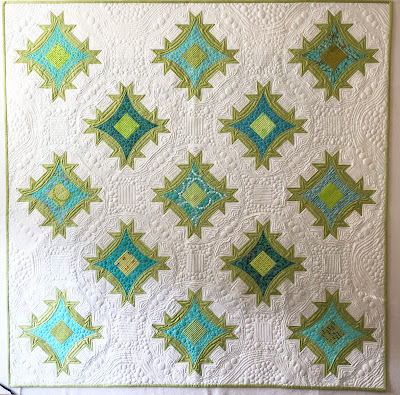 I wrote a previous blog about sewing the top for this fun and modern quilt. 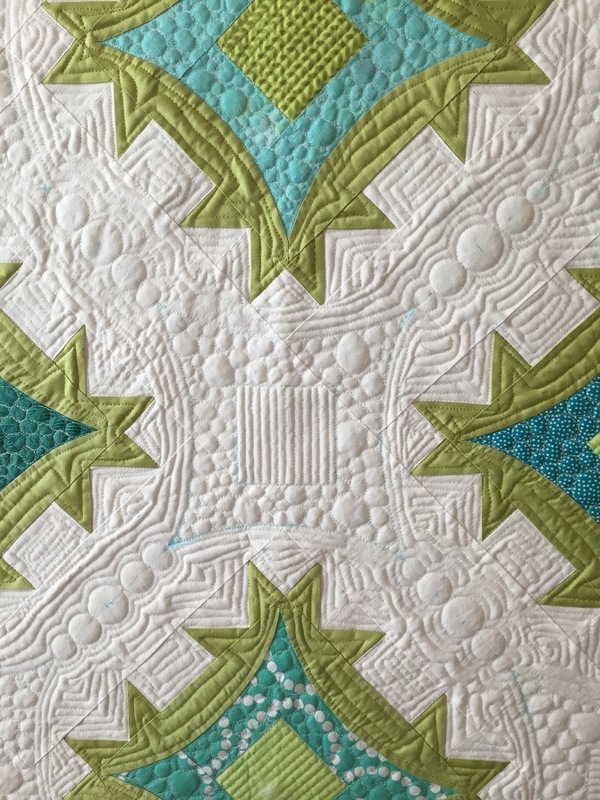 This one is about the quilting. I played around with a couple of different ideas for the quilting. At one point, I thought that I might do feathers. At another point, I thought that I would do a lot of circles and other fun stitches. In the end, I went with the more modern approach, and I ending up liking it a lot. The quilting templates that I bought from Jamie Wallen a make it so easy make nice small circles. 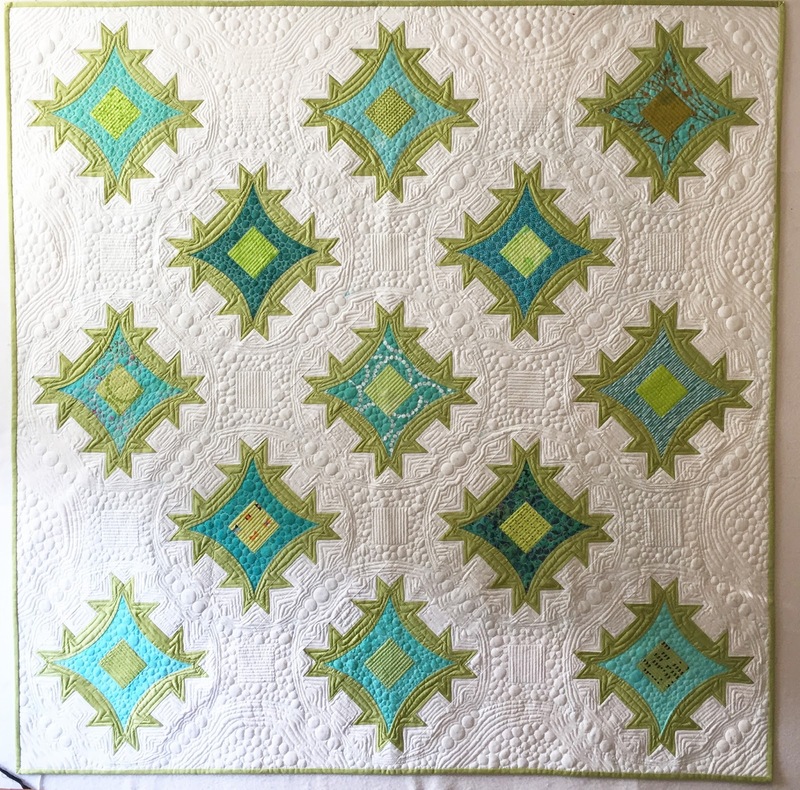 Since I made this quilt for our charity auction, I was not being that careful in the quilting. I don't know if this is a bad thing or a good thing, because once I give myself the license to NOT worry about it being judged, it gets progressively sloppier and sloppier. But sometimes, it's nice to give yourself a little more artistic freedom and go for the fun and not for the perfection. Don't you think so too? So here it is all complete, with a close up to show you the quilting. Wow, Joanne, your quilting sure accents your piecing. Well done! the ideas of your quilting are remarkable plus the reason for which you are doing this, is making your work more attractive and beautiful. The details are really perfect and I love it .great job . !